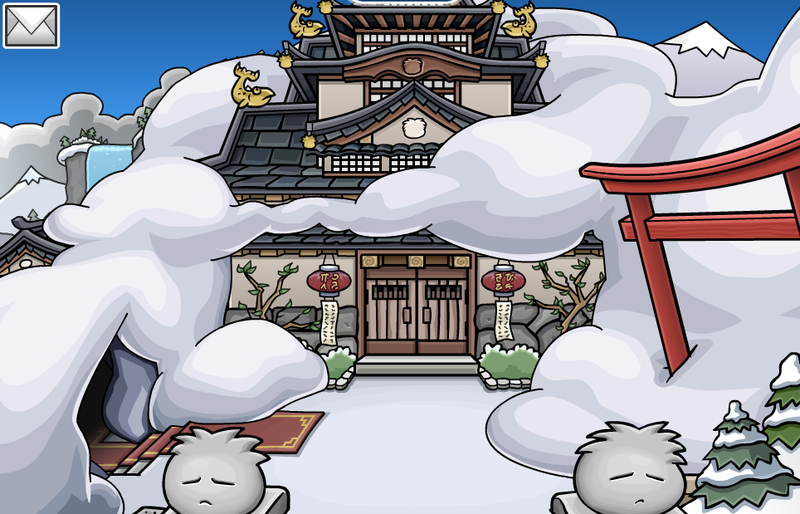 Club Penguin Cheats by Mimo777 Club Penguin Cheats by Mimo777: MORE Snow At The Dojo! Check it out! MORE snow is at the Dojo! Ahhh! This is so awesome! What are you most excited for about Card-Jitsu Snow!? I think you wanna check the Dojo, there are stairs! Might it be a new room? Cool. i missed the 2008 dig, so i am soooo happy cp is doing it again. The dojo is one of my favorite rooms! I'm excited about the new Snow suit. @Anonymous: No, those steps have been there before and it led to the Ninja Hideout.